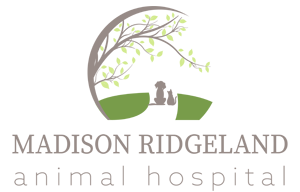 Get to know Madison Ridgeland Animal Hospital! Hello, and thank you for your interest in our hospital. We are happy to introduce ourselves and share a little bit about our history, our philosophy and our staff. And of course, we would love to hear from you. So, if you have any questions, or if you’d rather just talk to us over the phone, give us a call at 601-856-3991. After graduating from Mississippi State School of Veterinary Medicine in 1982, Dr Don Garrison opened this practice. He and his wife Felicia owned and managed it until their retirement on January 1, 2018.. In 2010, Dr. Kaysey Burns Faulkner began working at MRAH as an associate veterinarian. She and her husband, Dr. Jonathan Faulkner, purchased the practice on January 1, 2018. We strive to provide a warm, friendly atmosphere and eventually become not only your veterinarian, but your friend. We truly love getting to know our clients and their pets, and working collaboratively with them to achieve the best possible outcome. Click here to visit our Team page and get to know the Madison Ridgeland Animal Hospital family. If your pet has a medical emergency or need during the weekend, we refer to the Animal Referral and Emergency Center in Flowood at 601-939-8999.